It’s not every day that you hear about a man taking parental leave – and definitely not for a period of greater than 3 months. Luke Mitchell did just that. 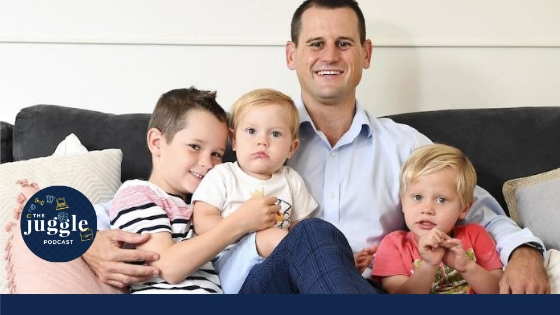 Luke is a father of three boys and a management consultant at PWC. He is also a keen advocate of flexible working and innovative parental leave policies. How the implementation by PWC of a paid 18 weeks parental leave policy (for either parent) was the game changer that led to him taking parental leave with not just one, but two, of his children. The incredible statistic that in the last 12 months more men than women took parental leave in the PWC Perth office. The biggest benefits to Luke being the chance to create solid bonds with his sons and to help his wife resume and further her career. How parental leave can look different when taken by a father as opposed to a mother and how reading The Wife Drought by Annabel Crabb changed his thinking. Misconceptions that people have asking questions like “What are you going to do all day?” and telling him to “Enjoy his break”. 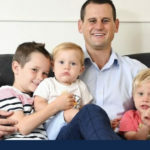 Tips for other dads who want to take parental leave such as co-parenting from the beginning to ease the fear of being solely responsible for your child. The important of communicating with your partner, work and everyone on a consistent basis. How Luke’s wife feels about her husband being feted for doing what many women feel all dads should be doing as a matter of course.